I implore you to learn about policy changes that took place during the previous administration and ask your school board members to return responsibility for managing KCS to the BOE. It is their DUTY under the law. Delegating this responsibility to one person is reckless and irresponsible. For years, people have asked how/why the KCS superintendent had so much unchecked power. They asked why nobody could do anything about it. A Board sets policy and their policies empowered him. The argument between managing or micro-managing is pointless. These policies determine whether the supervisor manages the employee or the employee manages the supervisor. If the employee isn’t willing to be managed and/or if the supervisor isn’t willing to manage, it is time for a change. A Board governs through policy. Waiting until AFTER something happens is an extremely poor way to govern. 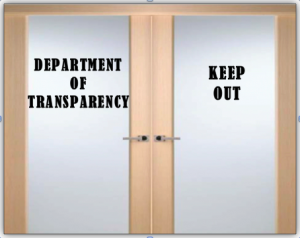 By that same token, creating a policy that delegates authority away from those who have a duty to manage closes the door on oversight and transparency. For the past three months, I have been trying to help others understand the seriousness of some of the policy changes that took place under the previous administration. The interim superintendent has railed against anything that limits his unchecked power and continues making unprecedented changes to positions as well as to the entire administrative reporting structure. The current Board seems to have a serious lack of concern for doing their job and correcting this situation. These changes made it easier for mis-management to work, unencumbered by questions or transparency. That we are STILL having this problem – almost 40 years later – should be alarming. School District – School Board Legal Status and Authority. This policy was revised 7/16, as the Board’s 5-4 voting bloc was running out of time in office. My focus was to make this simple: just revert to the previous policy. It seems the misuse of semicolons is/was of no consequence to anyone, with the exception of the one between item #1 and #2. A Board member said it looks like #2 refers to #1, yet when I asked what they would like to see to make it clear. I got nothing constructive. It would have been very easy to make a friendly amendment to move #2 to the top of the list, add the word “system-wide,” or just change all of the semi-colons to periods. Though several took issue with the language, nobody presented any amendment to make it more agreeable to them. Instead, the policy passed on first reading. The reason this is significant is that this Personal Privilege ends all discussion and there can be nothing more said until the January meeting. The interim superintendent can continue creating, changing, or terminating positions however he likes. He may set the salary for those positions to be whatever he likes and create any job description and reporting structure he likes, as long as it can be funded within the present budget. In other words, if he wants to terminate 47 employees and create 5 brand new positions that report to the supervisor of underwater basket weaving, he can – as long as he does so within budgeted cost of those 47 terminated employees. He (or the next super) can absolutely do that – and anything else you might imagine. And your elected Board won’t be able to do a darn thing about it (unless we begin another expensive termination process), because we GAVE him that power. And that is how we have been operating for the past several years. Please watch for part II.